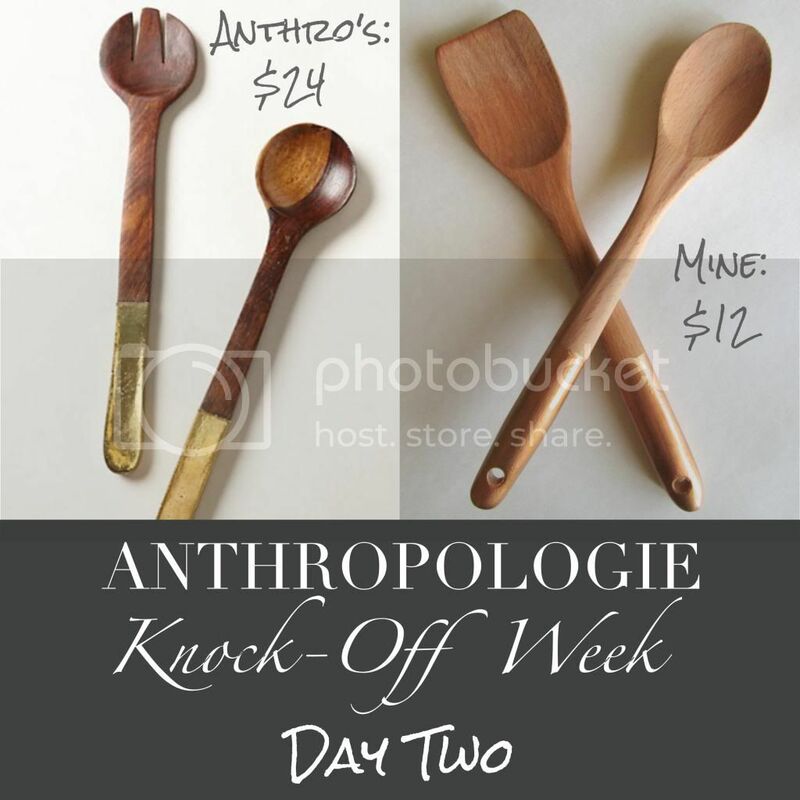 Today I'm taking Anthro Knock-off Week into the kitchen with these fun plated serving utensils. Who doesn't need a little sparkle and shine in their life? I know I do! As a side note, the last Monday of the month is usually supposed to be a post in the 5-minute Series. 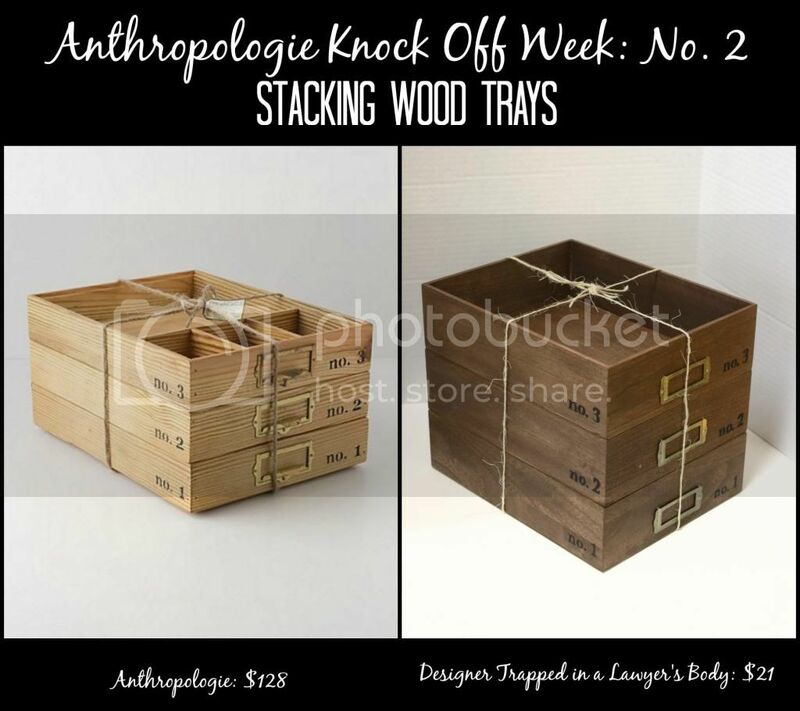 Since Anthro Week overlapped, it will resume next month! 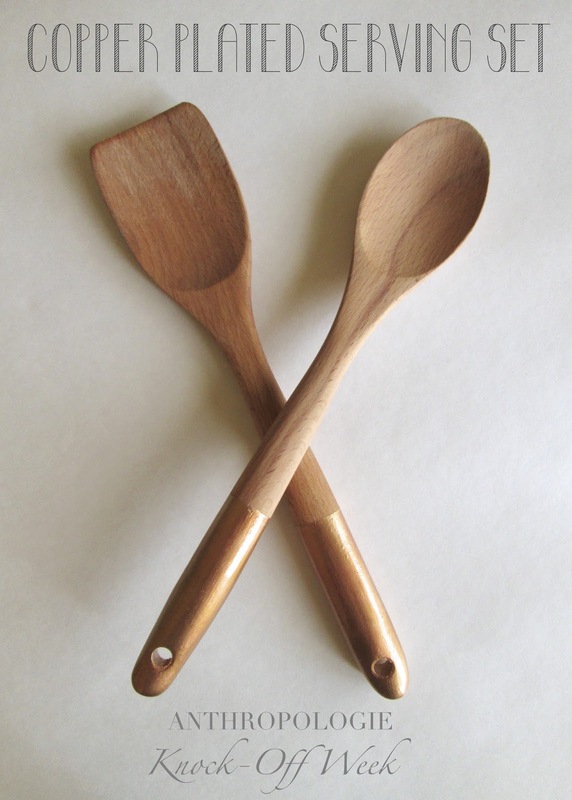 Wood serving set. I like light wood, but they can be any color/type of wood, and both stained and unstained. Liquid gilding. I used Martha Stewart brand in Gold. Painter’s Tape or a Pencil. Cheap-o paintbrushes – seriously, get the cheapest you can because we’re going to be throwing them away. The clean-up of the liquid gilding is really not worth the trouble. 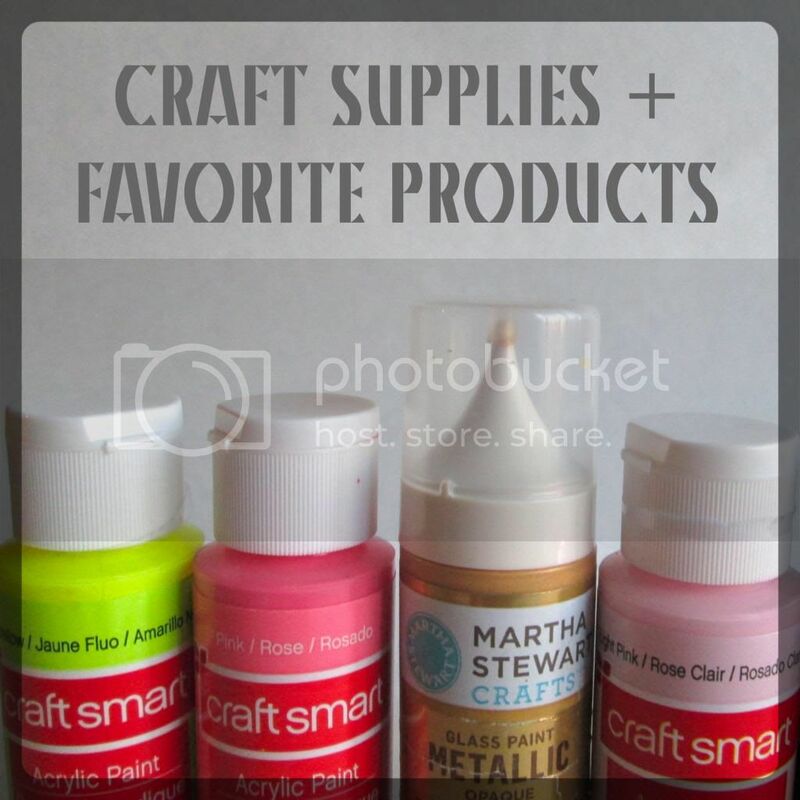 Regular old gold or neutral acrylic craft paint. Precrafting prep: Open all the windows, lay down some newspaper, and try not to pass out once you’ve started. If your work area doesn’t get good ventilation, you’ll want to move outside. First, figure out how long you want the gilded portion of your handle to be – I did four inches. Then, either tape it off or mark it with a pencil. 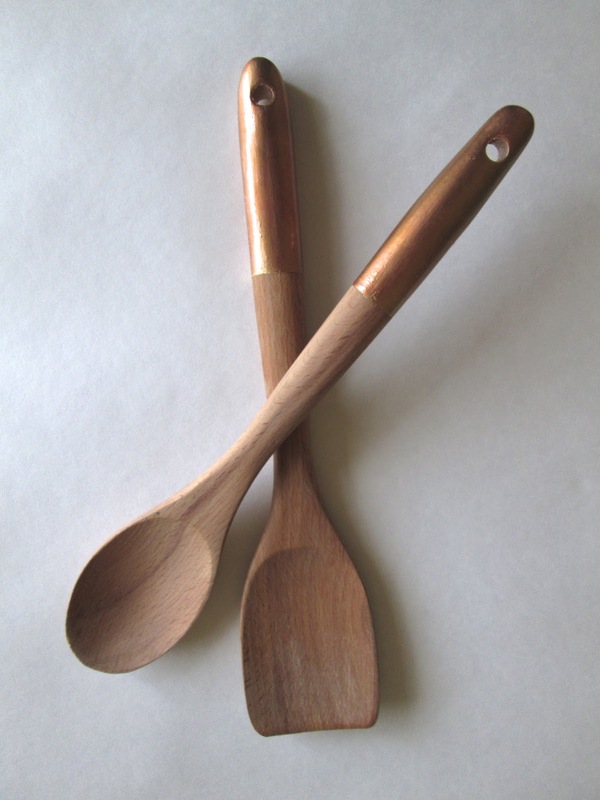 If your utensils are varnished or otherwise sealed, you can skip this step. 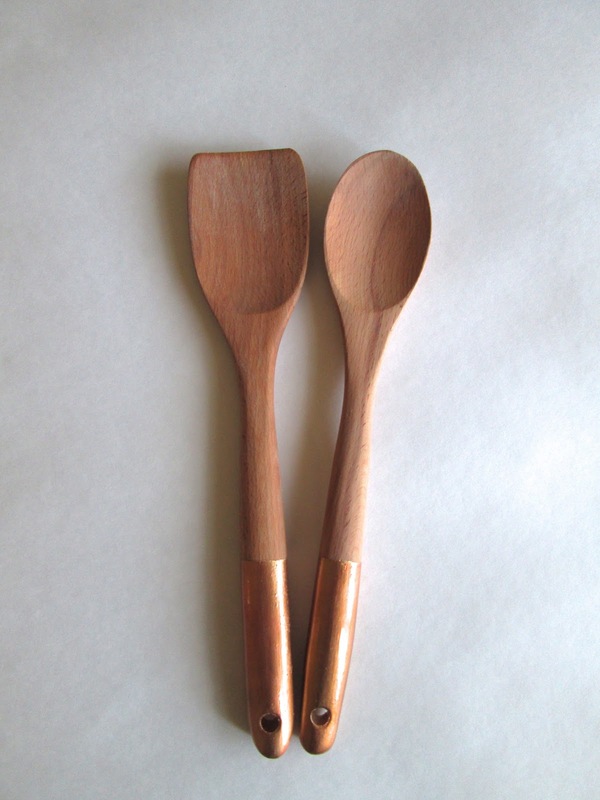 If they’re like most wood utensils and they’re pretty much raw wood, you’ll need to seal off the soon to be gilded area with craft paint (or the official Martha Stewart primer…but ain’t nobody got money for that). One generous layer should be enough. It’s time to make like King Midas and gild gild gild. So, here’s the plan – paint quickly but evenly, and as soon as you’re done with the first layer on both utensils, throw away the paintbrush and leave the room. Seriously. It's that strong. You can use xylene to clean the brushes, but really, why bother? It’s a nightmare to get it all off, and the cost of buying the cleaner is higher than the cost of a dollar store brush set. After the first layer has dried, you can do a second layer. I did four (maybe? I lost count…) total, but it’s really up to you and how perfectly smooth you want them to be. Now, this is the tricky part. 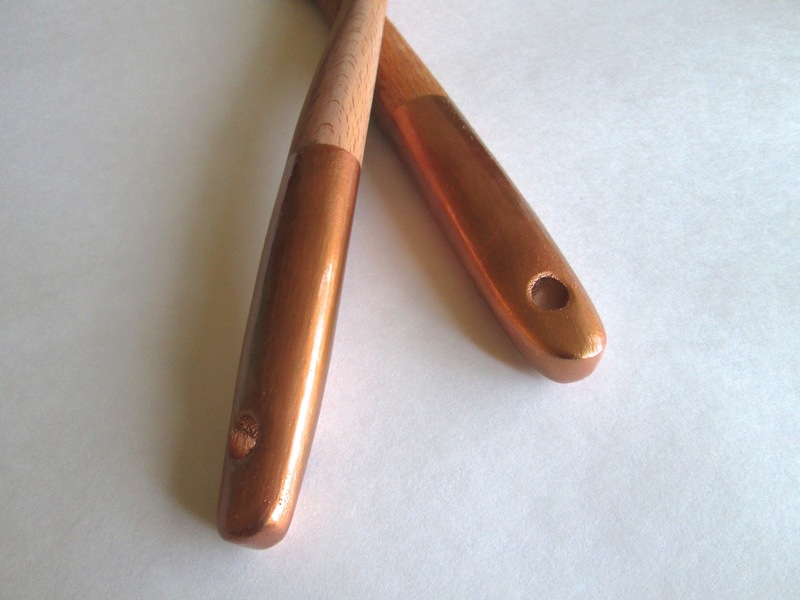 The gilded handles need to be sealed to prevent tarnishing. Martha Stewart and few other companies make official sealants for liquid gilding, but me being the overconfident crafter that I am, I decided I didn’t want to pay the price when I had perfectly good clear acrylic spray at home. So I did all the work of painting, let them dry for a few days, and then took them outside and sprayed away. And guess what? My hubris came back to bite me when the liquid gilding reacted with the spray and changed colors. They went from a perfectly beautiful yellow gold to an equally metallic and beautiful but not intended pinkish copper. They’re still pretty – just not quite what I expected. So, the moral of this story is, if you want them to stay the exact color you originally planned, trust Martha - I’ve heard she kind of knows what she’s talking about. 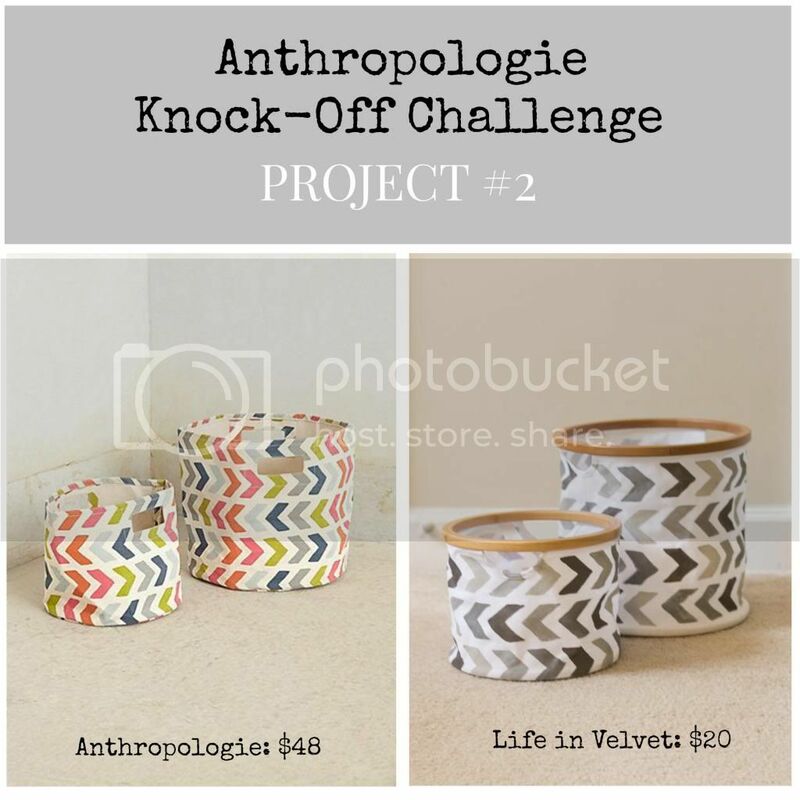 This post is part of Anthropologie Knock-off Week! 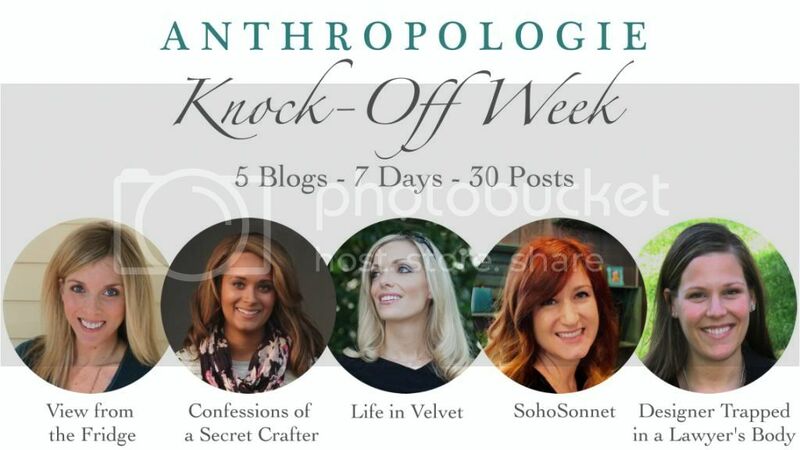 I've joined up with four other bloggers to bring you 30 fun Anthro themed tutorials. To see what our other bloggers have shared today, take a look at the photos below. Happy crafting! Gorgeous, and so simple! What a fabulous project! Love these! Love it! Great job, so easy yet so gorgeous! What a perfect project for me to pass on to my YUMeating readers! I can't wait to give this a try. Thank you. I'm happy to hear that! I hope they like it as much as I do. 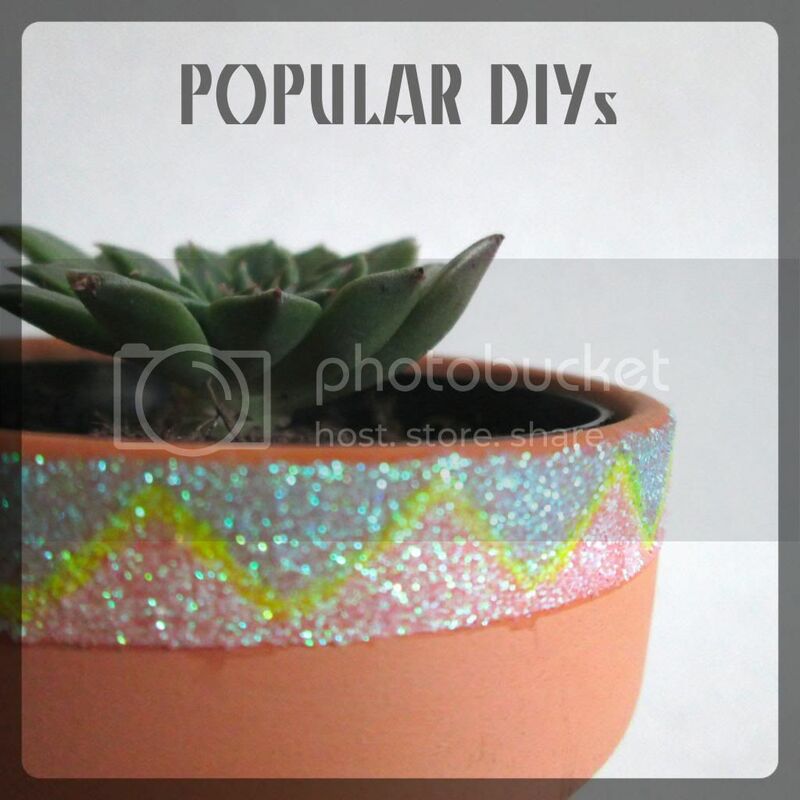 Great easy project!! 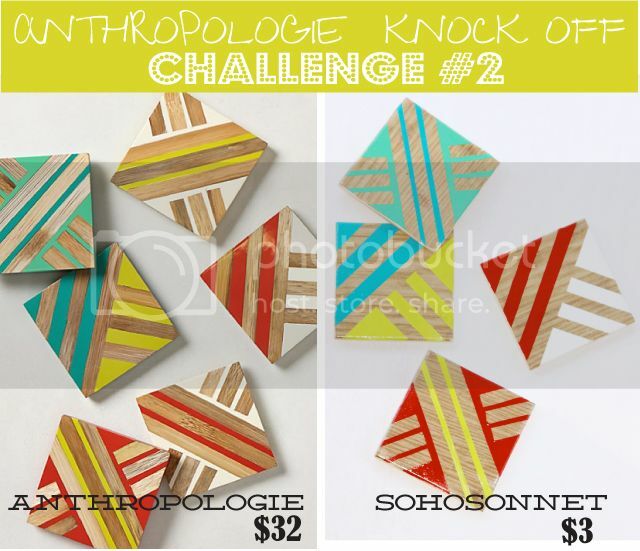 And since I have some extra wooden utensils and some paint, it won't cost me a penny!! Free projects are the best projects aren't they? I'm glad you found the tutorial inspiring! I love this series you ladies are putting together. 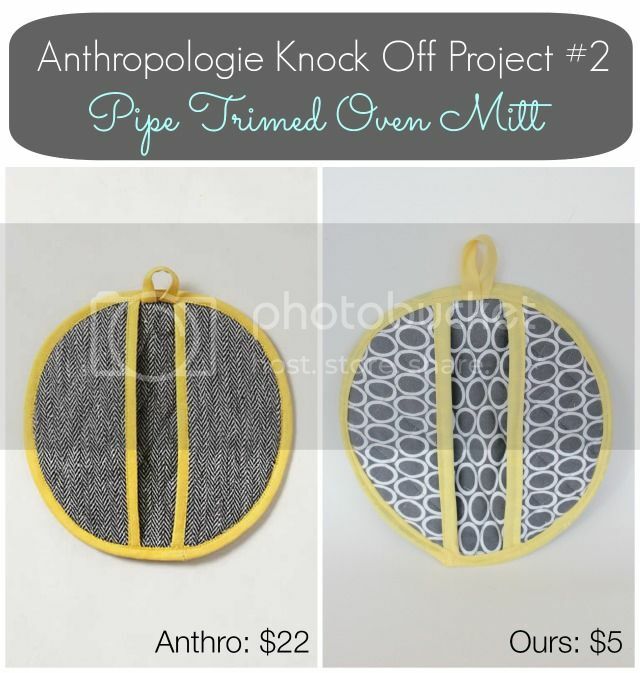 This is a great way to show DIY projects that can save $$$. Can't wait to visit everyone and see all the projects. Thanks Erlene! We've been having a ton of fun preparing everything, and it's so nice to hear that out readers are enjoying it just as much. You girls are doing an amazing job with all the knock off project and it's only day 2. I can't wait to see what your guys have in store for the rest of the week. I really love what you did with the serving set. You always have to have a little sparkle in the kitchens. That's great, thanks for letting me know!! Oh thanks Tammy! It was very unexpected, but in the end I'm happy with the way it turned out. Thanks for pinning! Oh yay! I will be sure to check it out. Thank you. Thanks for letting me know Bree!